Product categories of Plastic Coated Wires, we are specialized manufacturers from China, Pvc Coated Wire, Small Coil Wire suppliers/factory, wholesale high-quality products of Tension Wire R & D and manufacturing, we have the perfect after-sales service and technical support. Look forward to your cooperation! Plastic coated wire is made of galvanized core and plastic coated outside. Plastic coated wire is made from Plastic Coated Wires provided with a galvanized core wire, resulting in double protection against rust. 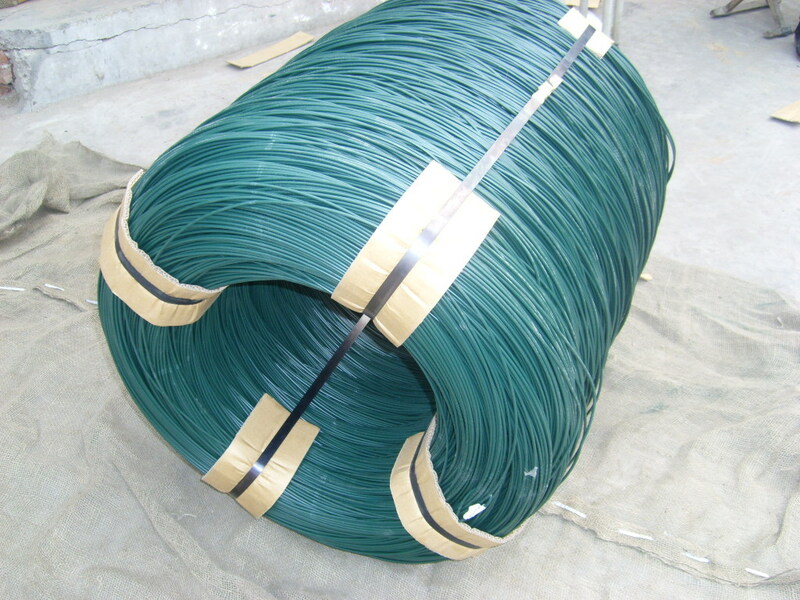 The PVC wire is widely used for producing fence, garden and construction, etc. In principle, this wire is available in various colours, and the most frequently used colours are: Ral 5018-blue, Ral 6005-green, Ral 9005-black, Ral 7016-grey. 3 .Diameters: many others available as per buyers' request.